How Much Electricity Will PV Solar Make In Chicago Each Year? Calculating the electricity output of solar PV panels is very important and should be looked at and discussed with your PV installer prior to making any decisions. Photovoltaic panels can produce high amounts of electricity, but there are also many ways that they can lose efficiency and then lose output and value too. 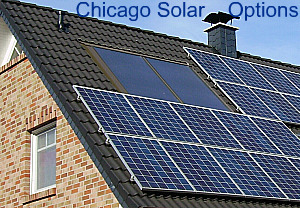 Chicago is one of the cities that is growing rapidly right now with solar power projects. There has been many different initiatives from the local and state government to promote clean energy and the residents are taking notice. Still though, everyone needs to pay attention to the science of PV solar and needs to understand the limitations and the expectations that solar can provide. Calculating the electricity production numbers requires an understanding of the average sunlight hours per day each year in any given area. For Chicago that amount is about 4.8 average hours of sunlight per day per year. If we look at one average size solar panel of 180 watts DC, we can now calculate the expected electricity. After a 15% electricity loss in converting to AC(Alternating Current) the above amount equals: 734 watt hours. Over the course of a year, this would equal = 267 kwh each year. One 180 watt solar panel can produce about 267 kilo watt hours (kWh) per year in Chicago, IL. State Law in Illinois is very good for people who want to own a solar system. The law is very clear and to the point with regards to the rules and regulations that must be used by both condominium associations and other types of homeowner groups. The rules also apply for people who might be lucky enough to live on or near a golf course or within a country club type of setting. The rules is that homeowners and property owners are allowed to have solar panel systems and there are literally no exceptions. The only part of the rules in the state of Illinois that associations or governing boards may put in place on people wishing to have solar systems is they can enforce rules on the exact location a system should be located at. But, to the homeowner’s defense, if for example a homeowners association tries to tell someone to place their solar system in a location that negatively impacts the production of electricity or the output of the system, that would be again violating the laws of the state. This law has already been tested several times in the state of Illinois and every time the homeowner has prevailed. Not only does the law prevent housing authorities from controlling and mandating that residents use power from the utility companies, the law also clearly explains that the little rule making the associations do have in Illinois is very little at that. This is how the solar laws for homes should be. It should be everyone’s right to have solar power and to place a solar system in a location that is going to produce the most energy. 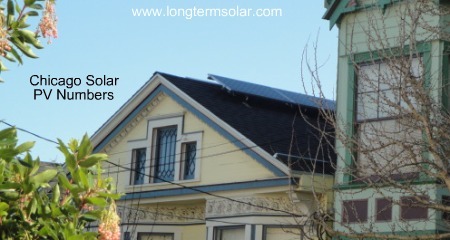 The hang up that neighbors have about rules on where solar panels can and can not be placed hopefully will eventually just fade away.